Join us at the 2019 IACAT Conference! The IACAT 2019 conference will be held in June 10-13, 2019 in Minneapolis, Minnesota, USA. This is a Monday-Thursday, with pre-conference workshops to be held on Monday. Attendees can arrive during the weekend to acclimate and enjoy Minneapolis, or fly in Monday morning if in the US and not attending a workshop. Opening keynote will be lunchtime on Monday the 10th. The theme is Improving Assessment with Adaptivity and AI. Click here to submit a presentation proposal. This can be academic research or a discussion of practical experiences. We welcome all proposals regarding CAT and other AI-based innovations in assessment. You are also welcome to propose a Symposium (coordinated session of several speakers). Deadline is 1 April 2019. This year's conference is hosted by Assessment Systems Corporation and will be located at the newly renovated Graduate Hotel on the University of Minnesota campus. The campus is near downtown Minneapolis and easily accessible from the airport via Light Rail (station right in front of the hotel), taxi, or ride-sharing service. As you can see in the image above, the campus straddles the Mississippi River just below the Falls of St. Anthony - the source of waterpower that led to the growth of Minneapolis as a milling and industrial center. Much of the seminal research on adaptive testing occurred at the University of Minnesota in the 1970s, driven by David J. Weiss at the Psychometric Methods program in the Department of Psychology. Weiss hosted the first CAT conferences here in Minnesota, in 1977, 1979, and 1982. 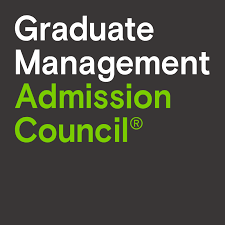 The Graduate Hotel was also the location of the two GMAC CAT Conferences (2007 and 2009) which renewed interest in the topic and led to the official founding of IACAT as a nonprofit association dedicated to the improvement of assessment. IACAT thanks for the following sponsors for supporting this important conference. If you are interested in sponsoring, pleacse visit the sponsorship opportunities page.